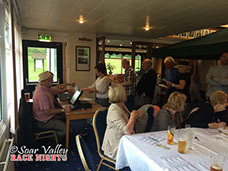 Soar Valley Race Nights specialise in corporate and charity race nights for both small and large events. Our services include a professional compere and experienced tote staff if needed. 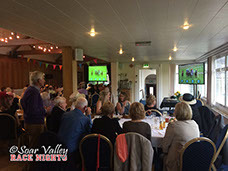 We use an exclusive computerised tote system and large screen video projection system and high quality PA system with horse racing footage from various courses from the UK including both jump and flat races. 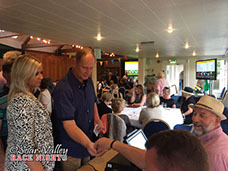 Race Nights are available in Leicester, Wigston, Lutterworth, Coalville, Oakham, Melton Mowbray, Ashby de la Zouch, Swadlincote , Market Harborough, Loughborough, Birmingham, Coventry, Wolverhampton, Solihull, Derby, Stoke on trent, Rugby, Herefordshire, Dudley, Warwickshire, Oxfordshire, London, Nottingham, Mansfield, Newark on trent, Sleaford, Redditch, Leamington spa, Warwick, Corby, Kettering, Northampton, Peterborough, Oxford, Worcester, Cheltenham, Gloucester, Kidderminster, Stourbridge, Hereford, Shrewsbury, Stafford, Burton upon trent, Lichfield, Uttoxeter, Manchester, Sheffield and many more.